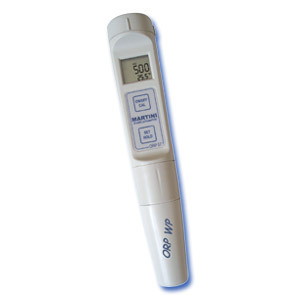 IP67 Waterproof pH tester with Large dual-level LCD that displays ORP and temperature (?C or ?F). The large display shows readings from -1000 to +1000 (with a resolution of 1 mV) and simultaneously shows temperature from -5.0 to 105.0?C or 23.0 to 221.0?F. 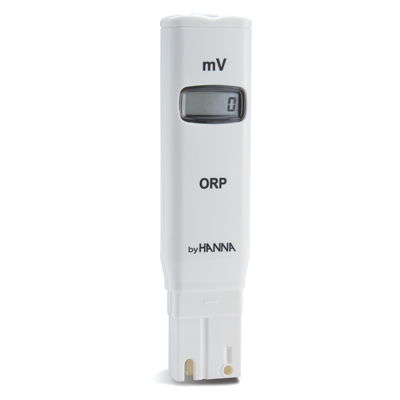 ORP57 has a stability indicator and hold function that freezes the display for easy and accurate recording. The large display also has graphic symbols to guide you through all operations. Complete with a temperature probe for faster and more precise temperature measurement it compensates automatically for temperature. Auto power OFF saves battery power after non-use. The double-junction electrode can be replaced in a very fast and simple way! The modular design allows easy electrode and battery replacement. ORP57 is supplied complete with protective cap, hard carrying case, batteries and instructions.